I have always loved handcrafted items because of the time it takes to create it. I believe that handmade goods always show the creativity of the maker. One of the reasons I love things that are crafted is because they are usually unique, it’s not found everywhere like Mass produced stuff. While I have no problems with Mass produced things, I mean how else can the world’s needs be serviced with just handcrafted goods, we will run out of supply. The uniqueness, the time spent making it and the loveliness are what often attracts me to things that are handcrafted. That’s why my today’s post is about Etsy an online platform that gives an opportunity for people to sell their created stuff. Etsy.com is an online retail platform that allows artisans to sell their handmade stuff, they take care of the ordering, payment processing, and notifications so that artisans can focus on creating products for sale. I have always been a fan of ethnic jewelry, so whenever I see a beautifully made one with precious stones, I want to have it because it speaks to my emotions. One of the things that you should strive to do as an Etsy seller is to speak to people’s emotion when you do that. There is no price they will not be willing to pay. If you want to set up an Etsy Shop, here are a few guidelines you might want to consider. Before ever you decide to open a shop, the very first thing that should occur to you will be what do I sell? What kind of products do you make? be it jewelry, crocheted clothing or whatever you decide, it has to be something you will be willing to make continuously without getting tired. It should also be unique. I once had a neighbor who made custom-made clothing but the beautiful thing about her own clothing was the beautiful beads that she used in decorating the clothing. It made her clothing line unique and people always sort her out to buy them. Therefore whatever your product is, ensure it’s something that is so unique that people will seek out to buy them. After all, that’s the reason people will come to Etsy, to get unique stuff that you can’t find in an everyday shop. If you make it worth their while, you will get repeat purchases. In making your products, it will be nice to have sets of products that go together to encourage more purchase. For instance instead of just making an earring for that design perhaps you may consider making a matching necklace and bangle or anklet, that way when people like the earring, they may consider buying the matching set. The accompanying set increases how much they will spend much more than if they were just buying one item. Check out other Etsy shops and look for the top sellers to know what makes them stand out and that way you can know what to add to your own shop. In doing your research, check out the arrangement of their listings and what is working in such shops. You can also use the site craftcount to check out the best shops on Etsy and see what is working for them, that way you arm yourself with ample knowledge before you set out. Research also has to do with checking out items that collaborate with what you are going to sell. See how you can collaborate with those who make those complementary items and figure out how to ensure that you have such goods in your shop, that way you sell more and it’s a win-win for everyone. Here is an example, if you sell jewelry and you see a shop that makes custom made purses that you could match with your jewelry, you could reach out to the purse maker and collaborate by listing their own products too on your shop, when you sell, they can fulfill it and give you a commission for the sales. Check out the terms of engagement before you start selling. Etsy is a platform provided by someone else, it’s like renting shop space so you must be prepared to abide by the terms of engagement of the landlord. This will enable you to avoid problems later on. Ignorance is no excuse, you don’t want your shop being shut down after you have started gaining traction. Before you go into the business of selling, ensure that you know what your total costs are and how you intend to factor it into the final sale price. Don’t forget the fact that you need to input the listing price of your products, another very important cost is the cost of shipping which we shall discuss later in this article. Remember you are in business to make a profit, so ensure that you calculate your costs in such a way as to turn a profit. Without a profit, you will go out of business. Another cost that you need to remember is the cost of marketing your store, just because you are on Etsy does not mean the whole world will come to you. It will cost you some amount to get people to come to your shop via advertising. Before you get off to running your shop on Etsy, you need to choose a payment gateway. A payment gateway is a platform that allows buyers to pay you for your goods. A good platform I will recommend is: PAYONEER , they help you receive payments from all over the world and you can easily withdraw your funds from a local bank or ATM as you choose. Another popular platform is PAYPAL, You may want to have various options so as not to limit buyer’s choices when it comes to paying you. Decide what shipping services to use, this is because it constitutes part of your sales cost if you are offering free shipping. Some people choose to go with USPS because of their flat shipping rates regardless of where you are sending your products to. You can also make arrangements for pick-ups so as to avoid running to the postal agency each time you make a sale. Ensure you have a good stock up in your shop before you go online. No one is advising that you hold large inventory but you can be moderate in such a way that you don’t run out of products. Under marketing, I am going to discuss, several topics because I think they go together namely; naming your shop, branding, product description, and photography. -Name: What is in a name and how does that affect your brand? when picking a name for your shop, pick a name that resonates with what your core values are and also works with the brand you are trying to create. Don’t get stuck in trying to choose a name, just choose one that speaks to the brand you are trying to build. Etsy is a marketplace so most times people don’t look at shop names when they buy. But it is nice to choose a name that easily comes up when people are searching for products in your niche. I love the idea of people building a brand around your name because it makes one unique. 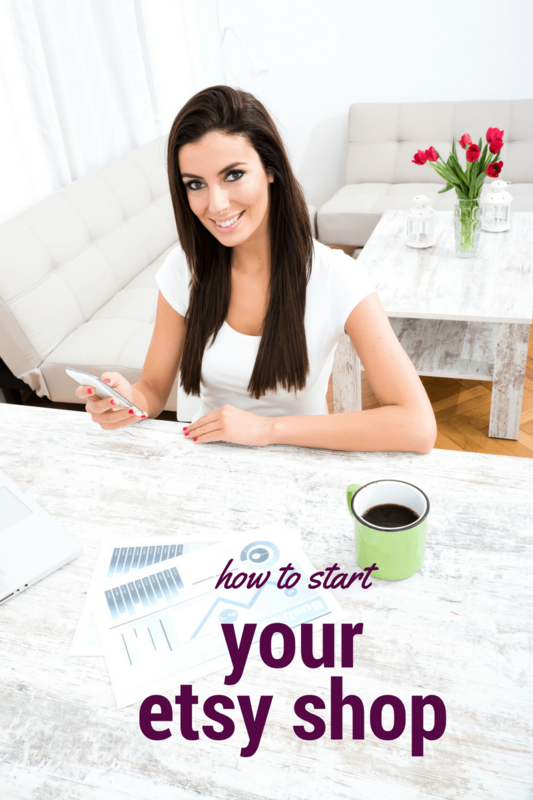 If you decide to start a blog later on your line of products, it will work perfectly for you. -Branding: When you are starting out, branding may not mean much to you, but you have to keep in mind that as you grow, you want to have a uniqueness that is attached with your products, that is where products design, logo, and way of presentation matters. and you will have your designs before you know it. Fiverr is an excellent outsourcing platform where you can find all kinds of digital services starting from as low as 5 dollars. -Photography: People will buy what they like especially when it speaks to their emotions. You can invest in a good DSLR camera or you can use your iPhone if you have one to take quality pictures of your products. Remember to keep the background plain, so as to use contrast to bring out the beauty of your products. If you have neither of these, good old camera on the phone will do. But ensure you have enough light to make your product stand out against the background. I always love using white plain background if it is a dark jewelry to showcase the product. Remember that the use of props such as jewelry hanging case will make all the difference. You can also place pictures of models wearing what you have made to increase its appeal. -Product description: No matter how good your products, its description that will make it easy for your clients to find you. You have to research for keywords that people use in your niche in other to use it to optimize your store. so that when people are searching for your products, your shop easily comes up. The product description is like the modern day direction for a brick and mortar store. -Launch Day: Do all you can to let people know you are open for business. spread the word, pick a date that you will be launching your shop. Do you have friends who are bloggers? Ask them to write a featured post for your shop on their blogs or mention you in their Facebook or Twitter handles. Tell people about your store using the various social media options we have. Pinterest is a good platform for showcasing your products. Tweak and find out which social media option is working for you and use it to your advantage.